Rather than being a dual biography, as its title might suggest, Simon Morrison’s Lina and Serge: The Love and Wars of Lina Prokofiev is primarily a biography of Lina Prokofiev, wife of renowned Russian composer, pianist and conductor Serge Prokofiev. There are two distinct parts to Lina’s story, each approximately one half of the book. The first is a hardly unusual story of a rocky marriage involving a classical music “rock star,” of general interest primarily because of Prokofiev’s musical significance and because the couple were integral parts of Russian émigré musical circles in places like New York and Paris in the aftermath of the 1917 Bolshevik revolution and World War I. Russia’s Bolshevik experiment looms ominously in the background throughout the book’s first half, then comes frighteningly to the fore in the second after Soviet officials lured Serge back to his native land in the 1930s. Not long after the couple relocated to the Soviet Union, Serge left Lina for a younger woman. On her own with the couple’s two sons during World War II, Lina suffered severe deprivation in Moscow while Serge was evacuated from the Soviet capital and survived the war in relative comfort. Lina was then swept into a post-war round of purges, accused and convicted of treasonous conduct for her contact with foreigners. She spent eight hellish years in a Soviet gulag. Lina’s experiences in the Soviet Union, Morrison contends, were representative of the fate of countless others under the regime led by Joseph Stalin, a “Georgian Bolshevik fighter who specialized in kidnappings and robberies” (p.122). Stalin’s regime was little more than a “tangled network of criminals . . . [and] immoral leaders who secured power through coercion and violence” (p.8). Morrison, a professor of music at Princeton University, aptly characterizes the second part of Lina’s story as a chronicle of a “totalitarian nightmare” (p.8). Lina Codina was born in Madrid in 1897 of peripatetic parents who worked as musicians. Her mother was from Ukraine and her father was Spanish. Lina lived in New York, Paris, and Geneva growing up, as well as in Cuba. She spoke fluent Spanish, English, French, Italian and Russian. Morrison suggests that her talent for languages should have led her to become a translator. But Lina was instead an aspiring soprano singer, with mid-level talent, thoroughly capable but not a musical superstar. At age 21, she met such a superstar in 27 year old Serge Prokofiev, whom Morrison describes as a “child prodigy comparable to Mozart” (p.31) and “[a]rguably the greatest musical genius of the twentieth century” (p.244), the creator of operas, symphonies, ballets, sonatas and concertos. Lina was smitten by Prokofiev’s exceptional charm and dashing good looks, as well as by his musical genius — his “rhythmic control” and “blistering technique at the keyboard” (p.39), as Morrison puts it. The couple married in 1923 in Germany, when Lina was several months pregnant. They had two sons together, and a troubled married life almost from the beginning. Not the least of the couple’s many problems was that Serge was quite simply far more talented than Lina. He was in demand seemingly everywhere. Lina was not. Hence, there was an imbalance from the beginning in their professional standing that had an effect upon their married life together. “No matter what she achieved as a singer, nothing could compare to Serge’s gifts as a composer and pianist” (p.53), Morrison writes. Serge was in many ways married more to his music than to Lina. “Self-obsessed and blessed with phenomenal powers of concentration” (p.32), Serge always gave priority to his musical pursuits, with “everything (and everyone) else falling far behind” (p.70). His career demands pulled him away from Lina for long periods of time, prompting her to feel rejected and isolated. But Serge also had what is euphemistically termed a “wandering eye.” Between his workaholic dedication to his music and the distractions of his wandering eye, Lina’s continual battle for Serge’s attention was a “frustrating contest” (p.55). She “succumbed to his [Serge’s] magnetism and had the wiles to maintain his affection, so she braved the broad range of other women in his life without protest. His indifference to her needs was, and would always be, the greater affront to her pride” (p.55). Yet, Serge retained a residue of affection for Lina and traditional family life, and the marriage held together, however imperfectly. Serge pursued his career in the West with the permission of Russia’s new Bolshevik government. Anatoliy Lunacharsky, head of cultural affairs under Vladimir Lenin, sanctioned his journeys abroad with the “understanding that Serge would serve as a kind of cultural diplomat. The Bolsheviks were destroyers, Lunacharsky admitted, whereas Serge was a creator. The regime needed him” (p.32-33). The couple and their children lived in New York and Paris in the aftermath of World War I, and were prominent members of the Russian emigrant community in both. While abroad, Serge tried to speak positively of the Russian revolution. He “fretted that he had forsaken his country at a crucial – if brutal — period of transition and feared that he would be punished for seeking success abroad” (p.33). Serge described his relationship to his homeland to a French journal in 1927: “Foreign air does not suit my inspiration, because I’m Russian, and that is to say the least suited of men to be an exile, to remain myself in a psychological climate that isn’t that of my race. My compatriots and I carry our country about with us . . . I’ve got to go back.” (p.121). As Morrison notes, Prokofiev “spoke sentimentally of Russia, but he was not a sentimental person. In essence, he returned to Russia because he had never left” (p.121). In 1936, at about the book’s halfway point, the couple moved back to the Soviet Union. Lina acquiesced in the move. She felt she had “no choice but to agree to the move; if she refused, Serge would blame her for compromising his career” (p.169). Lina’s fondest hope was that the new environment in the Soviet Union might bring Serge back closer to her and the couple’s two sons. This hope proved to be catastrophically misplaced. The couple’s relocation to the Soviet Union coincided with what came to be known as the “Great Terror,” involving arrests, blacklistings, deportations and executions of Soviet citizens from all walks of life. Although neither Lina nor Serge was directly affected by the Terror during their initial years in the Soviet Union, they were “aware of the plague in the land,” a product of Stalin’s “psychopathic megalomania” (p.170). Having moved to Moscow together, Lina and Serge “soon started moving farther and farther apart, each suffering the peculiar stresses of life in the Soviet Union” (p.191). Serge’s wandering eye settled upon a younger woman, 23-year-old Mira Mendelson, less than half Serge’s age at 47. 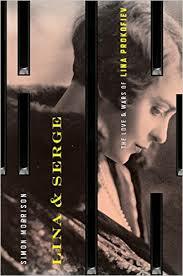 Discovering Serge’s affair with Mira, Lina “felt she deserved better from her husband than neglect, and now, betrayal” (p.198). Serge eventually moved in with Mira and any semblance of a normal family life for Lina vanished. By the time Germany invaded the Soviet Union in 1941, Lina’s marriage to Serge was effectively over. Serge and Mira were evacuated from Moscow and lived in relative comfort during most of the war years in Alma-Ata, Kazakhstan. Lina remained in Moscow with the couple’s two sons, where the three barely survived. Throughout her separation from Serge, Lina sought out numerous friends and tried desperately to leave the Soviet Union. She “continued to imagine a future for herself and her family outside the Soviet Union – to plan a life back in the West. After the end of the war, she pursued it actively” (p.223). Lina felt shielded enough by her association with Serge to fraternize with the staff at the embassies of the Soviet Union’s wartime allies, “even though such contact with foreigners was disallowed by the state as treasonous. Such socializing had its real purpose, though – to escape” (p.232). Immediately after World War II, Soviet authorities began to investigate Lina for her foreign contacts. In 1947, Serge obtained a “nonsensical” (p.245) divorce from Lina, in which the court declared their original marriage null and void ab initio because it had taken place outside the Soviet Union and had not been registered with Soviet officials. Morrison terms the ruling a “farce,” even by Soviet legal standards, and a “circumvention of jurisprudence that became infamous in post-Stalinist classrooms” (p.245). Serge then married Mira. But, unbeknownst to Lina, Serge suffered a series of strokes, rendering him incapable of composing for more than an hour or two a day and “bringing his life to a bathetically premature end” (p.265). Shortly after the couple’s sham divorce became official, Lina was “summoned to pick up a package outside her apartment, dragged into a car, and taken to the Lubyanka prison for interrogation.” (p.245). The four men who interrogated Lina there were “semi-educated thugs who knew nothing of the world beyond the Soviet Union and who lived in squalid quarters on small salaries supplemented by bribes and extortion. . . [They] specialized in torturing people for the purpose of extracting confessions” (p.250). Of the four charges Lina faced, by far the most serious concerned her “persistent efforts to leave the Soviet Union with the aid of foreign embassy workers” (p.253). After a 15-minute trial with a pre-ordained outcome, Lina was sentenced to a 20-year prison term. Morrison delves in vivid detail into Lina’s imprisonment, describing her life in Soviet gulag camps. Lina was one of about 3,000 women at a camp known as Yavas, where she spent “long days in factories and mills, followed by farm work with cows and pigs or tending crops. Idlers were subject to beatings, forced marching drills, and sleep deprivation” (p.274). Morrison attributes Lina’s survival in the camp to the “material support she received from her sons, her gender (death rates among men were higher than among women), the less taxing work assigned to older prisoners, good fortune, her own wit, and her relationship to an eminent Soviet composer” (p.257-58). Some passages in this portion of the book will remind readers of Caroline Moorehead’s A Train in Winter, a study of French women’s solidarity in Nazi prison camps, reviewed here in February 2012. Lina’s situation in the post-World War II Soviet Union was also similar to that of Olga Ivinskya, the mistress of Boris Pasternak who was twice investigated and prosecuted by Soviet authorities, as set forth in Peter Finn and Petra Couvée’s The Zhivago Affair: The Kremlin, the CIA, and the Battle Over a Forbidden Book, reviewed here in October 2015. Much like Pasternak, Serge had also fallen into disfavor with the Soviet authorities at the time of Lina’s trial for his purported failure to follow ideological guidelines for the arts. But the authorities hesitated to repress him directly, for roughly the same reasons they did not wish to repress Pasternak: their sensitivity to the implications of persecution of an internationally renowned artist. Lina’s release from Soviet Gulag camps in 1956 came about as a result of the political upheaval that followed Stalin’s death on March 5, 1953 – the same day that Serge died of a stroke. Lina’s son Svyatoslav recounted that on Lina’s release, “despite swollen eyes caused by sleep deprivation, his mother looked much the same as he remembered her in 1948, though mentally she had dulled, slowed” (p.275). Svyatoslav emphasized that his mother “suffered the breakup with Papa more than the imprisonment that was its main consequence” (p.275). A year later, a Moscow judicial oversight committee reversed the decision of the previous decade invalidating her marriage. “Eventually, but unhappily to all concerned, both marriages were recognized. Prokofiev was deemed to have two widows and his estate was distributed among his two wives and his two sons” (p.283). Lina was not allowed to leave the Soviet Union until 1974. She lived modestly in London and Paris up to her death in 1989, at age 91. Morrison concludes that it is “obvious” that Lina was a “tragic victim of Serge’s genius and the self-delusion that he shared with his nation” (p.291). The words “tragic victim” seem slightly off the mark as applied to Lina’s difficult and disappointing marriage, the first half of this two-part story. After being starstruck and thinking that she could advance her career through the musical giant Serge Prokofiev, Lina found herself bound to a man who proved entirely unfit for marital conventions. But she was hardly the first woman to discover that she had made a bad marriage choice. By contrast, “tragic victim” seems an entirely apt description of Lina during the second half of her story, after she followed Prokofiev to his homeland and consequently found herself trapped inside the totalitarian nightmare that was the Soviet Union under Stalin and his successors.